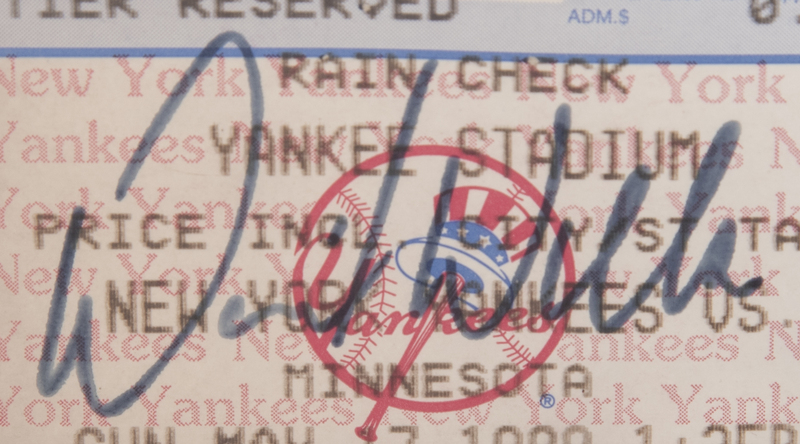 On May 17th, 1998, New York Yankees ace David Wells threw the 15th perfect game in MLB history. Wells faced 27 Minnesota Twins batters and retired each of them to guide the Yankees to a 4-0 win at Yankee Stadium. Wells was the first Yankee pitcher since Don Larsen to throw a perfect game. Coincidentally, Wells and Larsen both attended the same San Diego area high school. 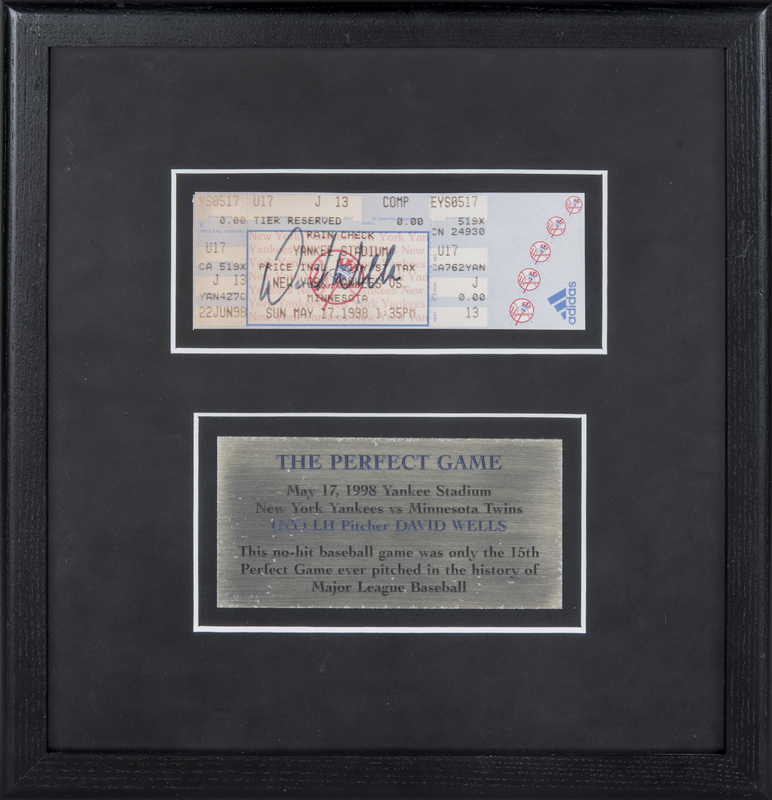 Offered here is a ticket from Wells’ perfect game signed by “Boomer” himself. 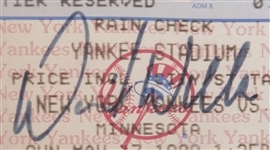 Wells has signed this Adidas-branded ticket in blue marker. 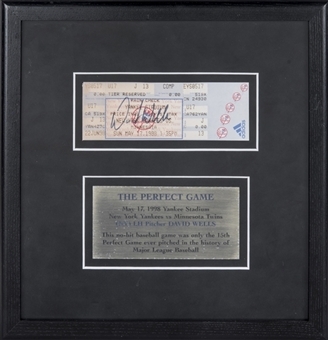 The ticket is displayed above a placard that reads “The Perfect Game / May 17, 1998 Yankee Stadium New York Yankees vs Minnesota Twins / (NY) LH Pitcher DAVID WELLS” and “This no-hit baseball game was only the 15th Perfect Game ever pitched in the history of Major League Baseball”. This item is presented in a 11.25 x 11.5-inch frame. 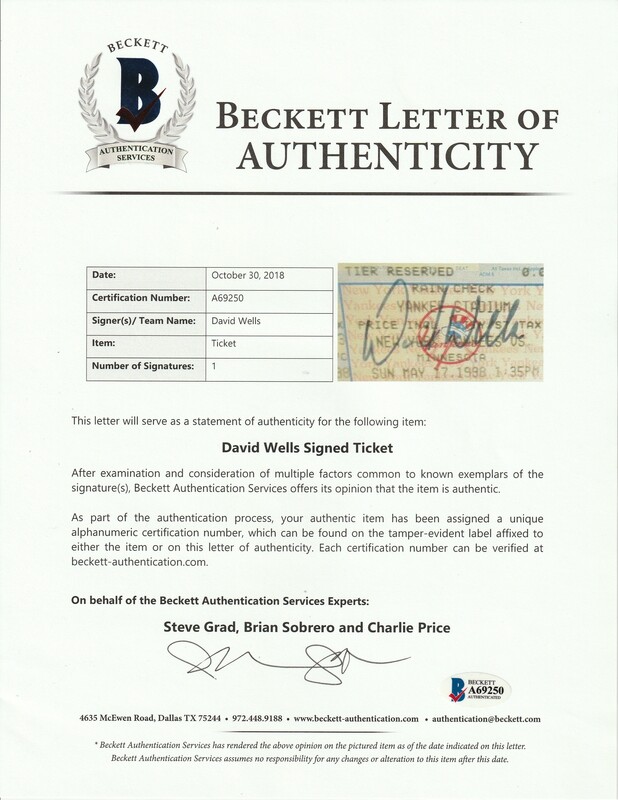 It comes with a LOA from Steve Grad of Beckett Authentication (A69250).